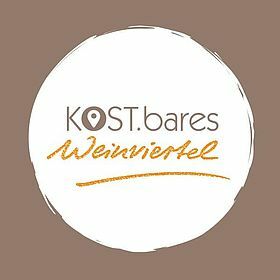 Use this website to get to know people in the Weinviertel, who create handicraft products with love! Visit the Speisekammer ums Eck (pantry round the corner), which is filled with fresh fruit and vegetables from the surrounding area on a daily basis! Discover the cellar lanes and the wayside cross and be inspired for new experiences! 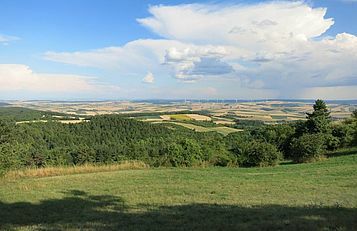 In the Weinviertel, you can purchase lamb, pork and Angus beef directly from the farmers. This also applies to apples, potatoes, apricots, wine and many other products. You will find the opportunity to relax in the middle of the gentle hills and fields. 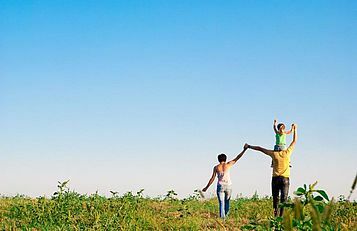 Farmland, orchards, meadows and small forests give you the opportunity to free your soul. People found the favourable climate and fertile soil in this region in prehistory and early history. 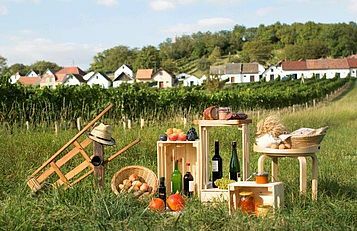 Nowadays, winemakers and farmers harvest valuable natural products here and process them into delicious food products. Social life is thriving at celebrations, in wine cellars and wine taverns. Extraordinary natural landscapes and picturesque spots are great places for excursions, as well as the cellar lanes, wayside cross, palaces and castles. 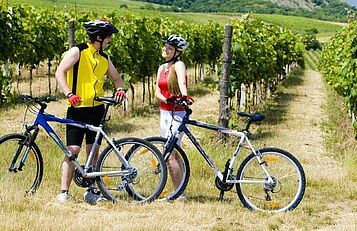 The Weinviertel climate is characterised by a lot of sun and little rain: the best conditions for a relaxing country outing!